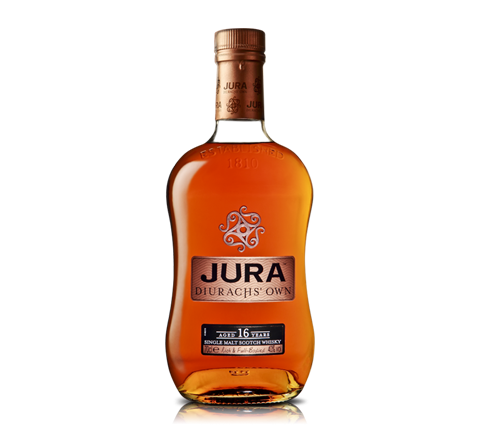 Over the centuries, many Diurachs have travelled to distant lands. 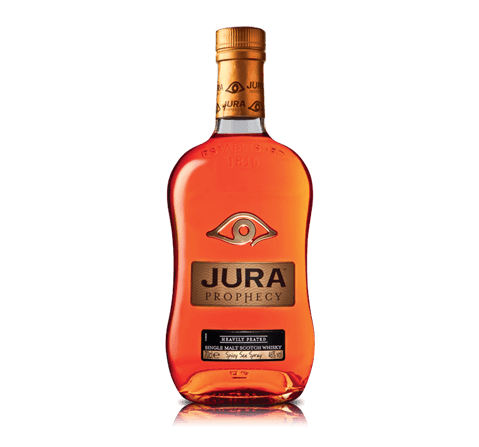 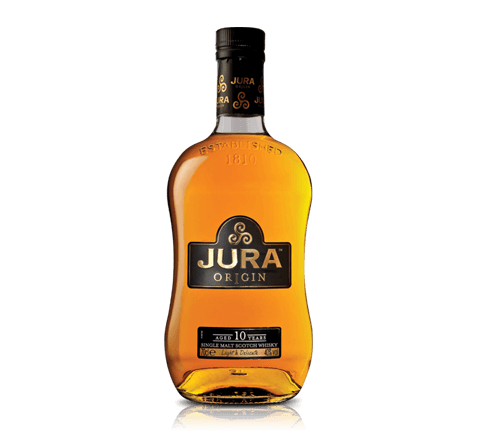 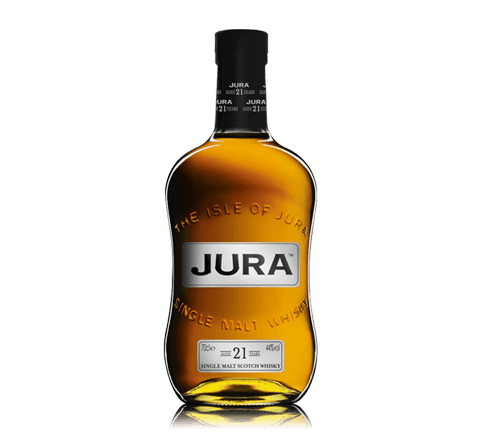 But the Jura spirit runs deep. 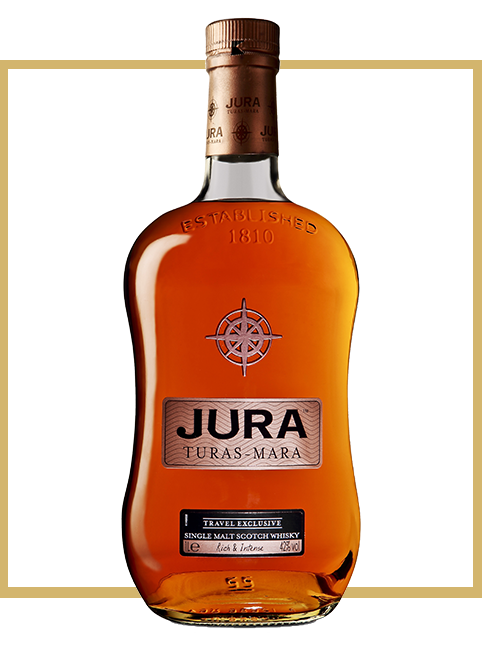 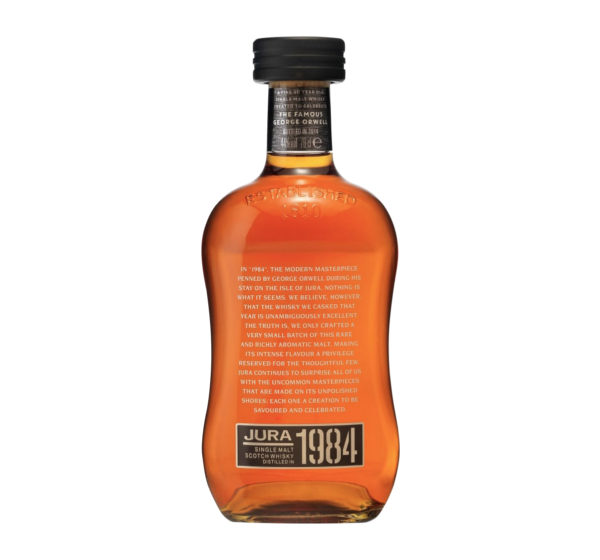 Turas-Mara – meaning long journey – is matured in casks from the USA, Spain, France and Portugal to honour those overseas. 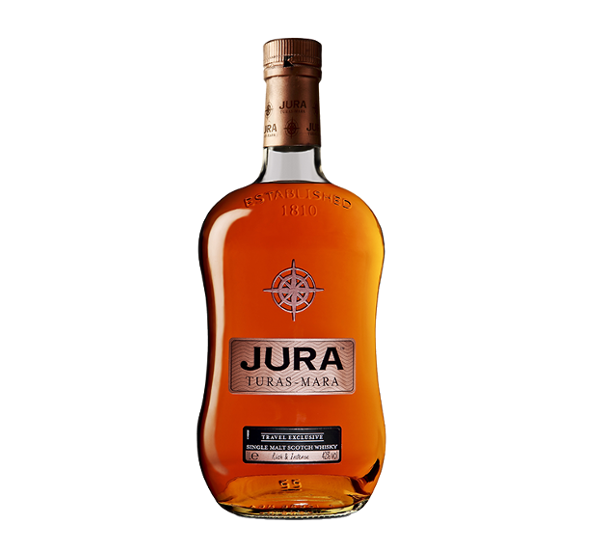 And should they need to remember the way, each bottle carries a compass to steer them home. 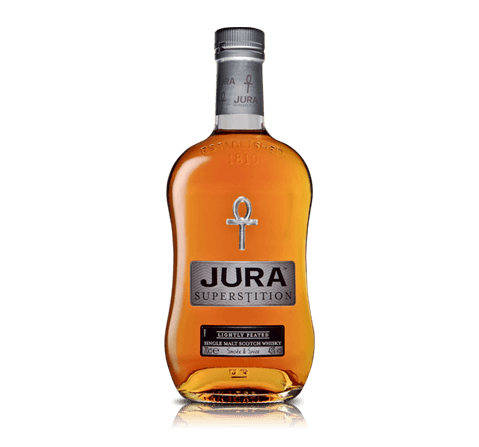 "A sweet and rich whisky with hints of honey, vanilla and black fruits"
Taste A sweet and rich whisky with hints of honey, vanilla, succulent black cherries, fleshy grape pulp and juicy raisins. 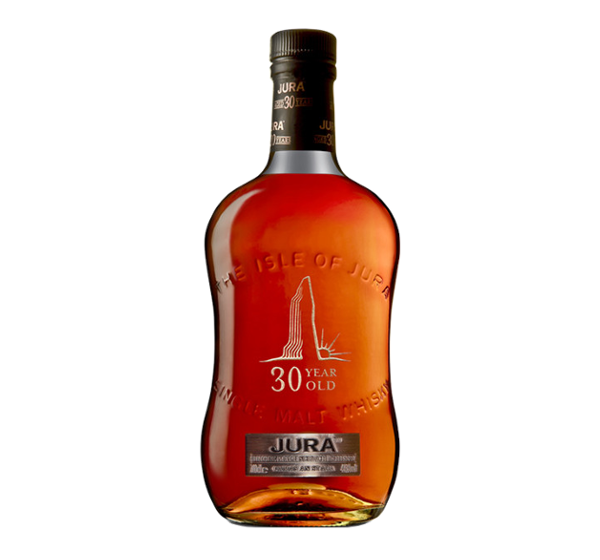 Finish Turas-Mara's toffee, vanilla and cherry flavours are enhanced by finishing in a mix of Bourbon barrels, Bordeaux wine, Ruby port and Amorrosso sherry casks.